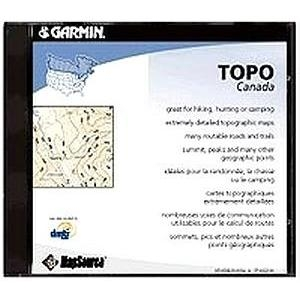 Great for hiking, hunting, or camping, TOPO Canada contains extremely detailed topographic maps, many with routable roads and trails, summits, peaks and other geographic points - perfect for your next recreational outing. TOPO Canada is not locked, so you'll receive full access to all coverage areas. * These functions of this product work with nearly all Garmin GPS units, excluding the GPS 100 family and panel mount aviation units.